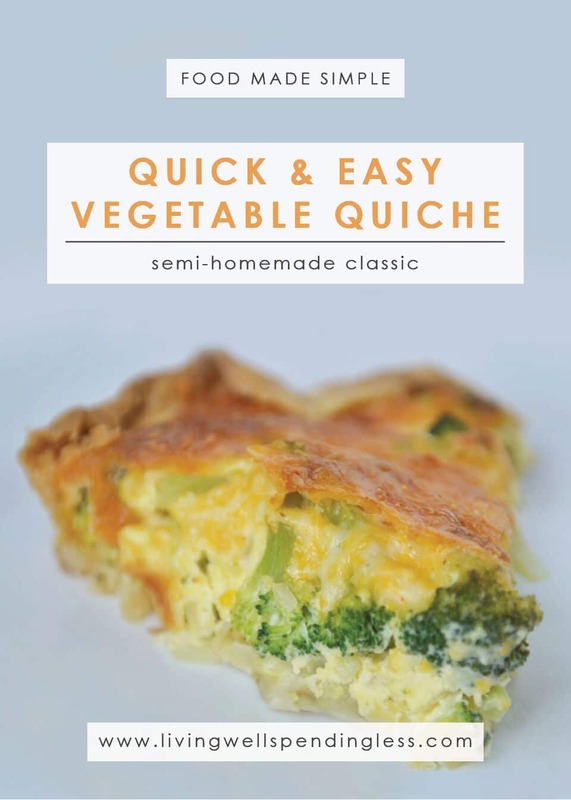 For some reason the idea of making quiche used to always scare me–maybe it’s the fancy name–but it is actually very easy and pretty fool-proof. I originally got this recipe from my friend Shannon, who inherited it from her very adorable and very French mother-in-law. 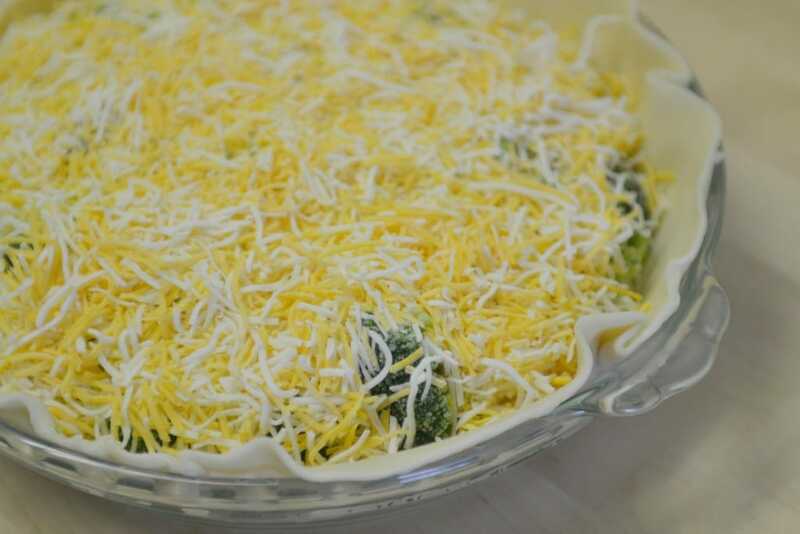 For this particular version, I used a frozen broccoli, chopped onion, & cheddar cheese combination, but you could literally throw in pretty much any vegetable (or even meat!) that you have on hand. Make sure your pantry is well stocked! 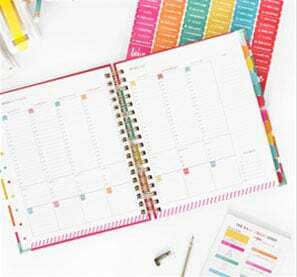 Simply opt-in below to have the Pantry Staples Printable sent straight to your inbox! As far as the crust goes, you can use a ready-made rolled refrigerated version, which is where the quick & easy part comes in, or, for slightly more effort (but a tastier, flakier crust) you can make your own using this easy tutorial. In any case, DO try this recipe, and sooner rather than later! 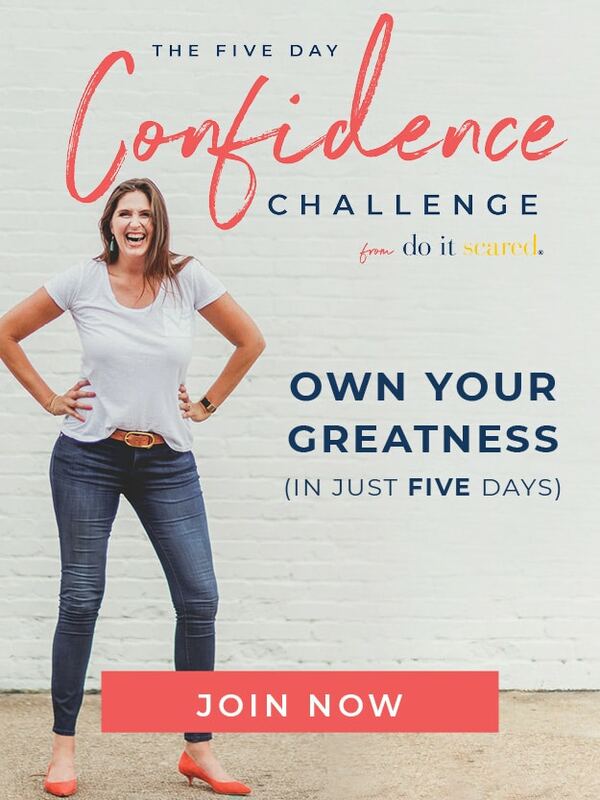 You might just find you’re making it all the time! Step 1: Preheat oven to 350 degrees. 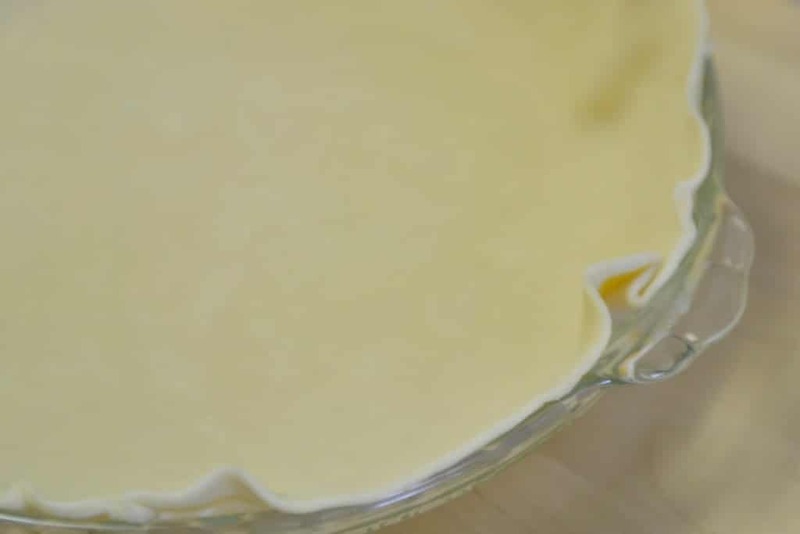 Place crust in pie plate. Finely chop onion and set aside. Step 2: Whisk eggs until well blended. Add milk, cream, salt, and pepper and whisk again. Step 3: Place finely chopped onions on crust then top with broccoli. Step 4: Top vegetables with shredded cheese. 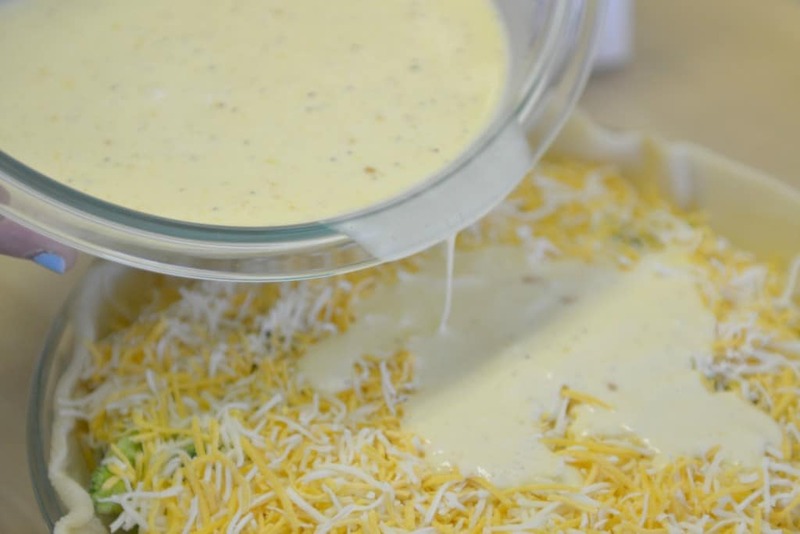 Step 5: Pour egg mixture over cheese, then fold over crust edges as desired. Step 6: Bake for approximately 35-45 minutes or until set in the center. If cheese is browning too quickly, cover with foil. Step 7: Let stand for 10 minutes before serving. 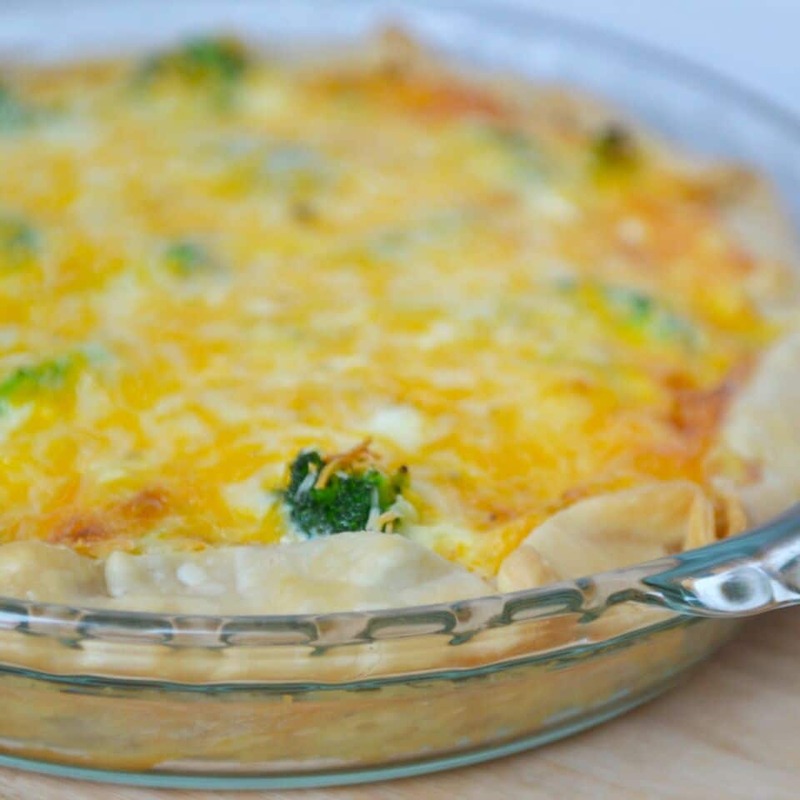 This savory pie whips up in minutes and can be made with any combination of veggies. Preheat oven to 350 degrees. Place crust in pie plate. Finely chop onion and set aside. 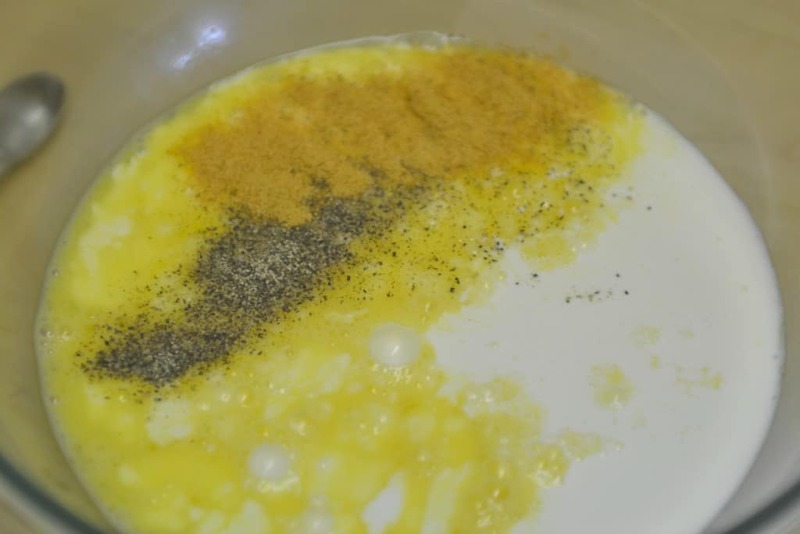 Whisk eggs until well blended. Add milk, cream, salt, and pepper and whisk again. 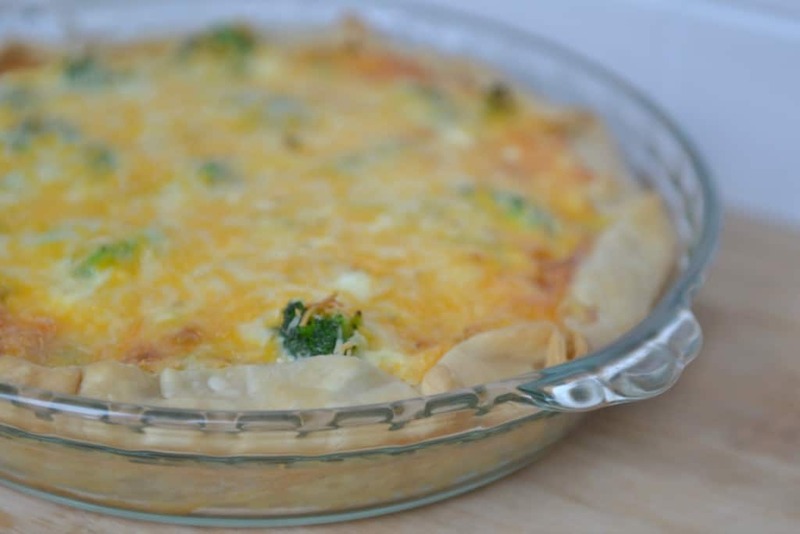 Place finely chopped onions on crust then top with broccoli. Top vegetables with shredded cheese. 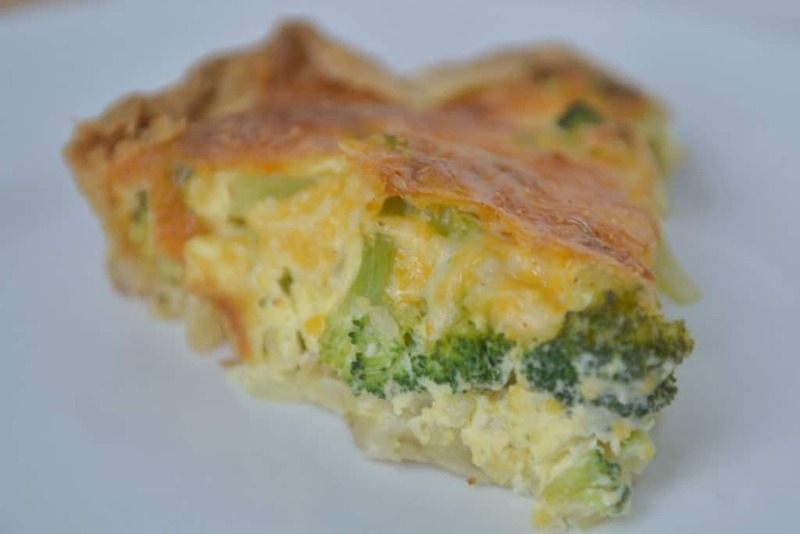 Pour egg mixture over cheese, then fold over crust edges as desired. Bake for approximately 35-45 minutes or until set in the center. If cheese is browning too quickly, cover with foil. I’ve always been intimidated by quiche. Thanks for the recipe! 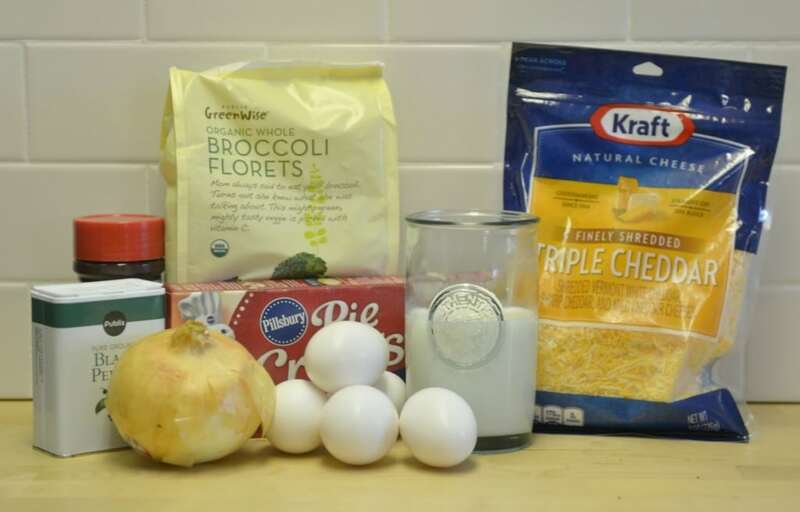 Quick question: Do you ever mix all of ingredients together before pouring them in? Or is it best to pour the egg mixture on top? I made this today as directed. Although I did make my own pie crust and added a dash of Tabasco. It was delicious! 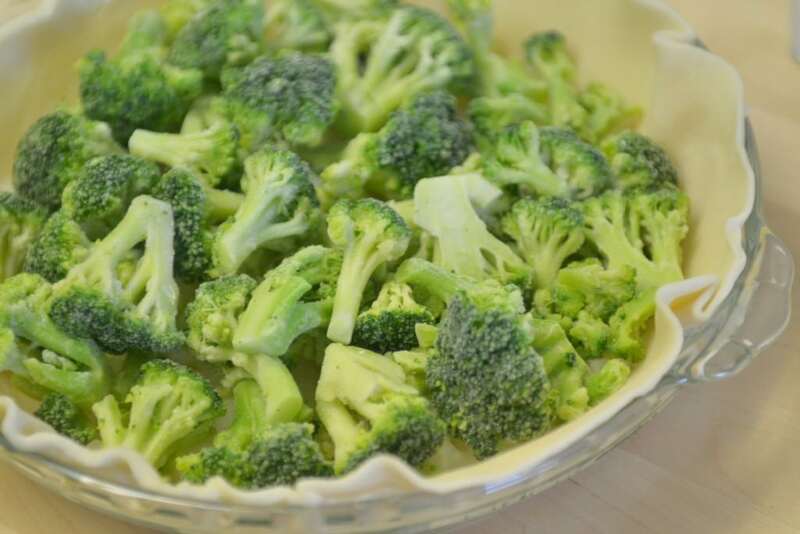 I lightly steamed the broccoli before adding as well. I will definitely add this to my recipe box! This looks delicious…I am definitely going to try this for dinner!! 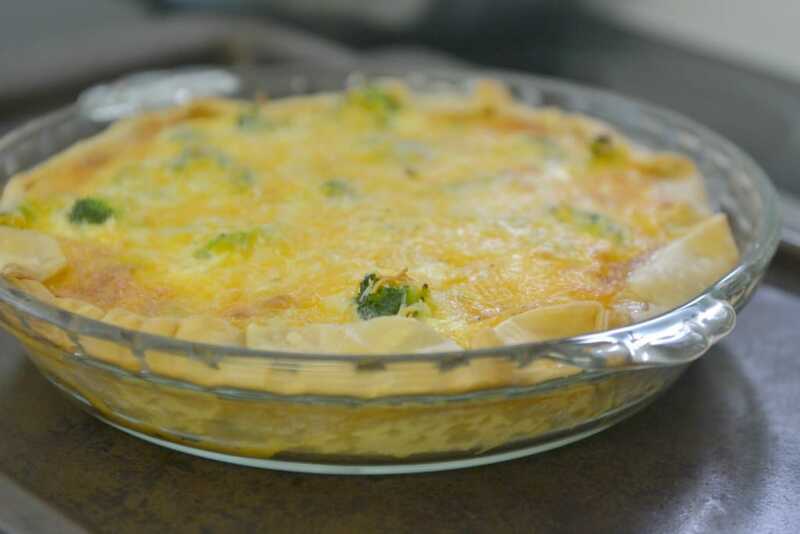 Do you know if you can make ahead and freeze a quiche, and then serve later, or does it not do well?